If I submit an application for a flight will my wife be allowed to accompany me? And does she need to fill out an application? Robert, could you please give us a phone number so we could follow up with a conversation? I have just returned from an Honor flight on April 28. My heart felt thanks to all the Guardians and Volunteers who made this one of the happiest days of my life. I have never seen such an operation run so smoothly in my life. I am so proud and thankful to have been a part of this program. God Bless you all so much. Having trouble buying a ticket for the airline raffle through the home site. It will not allow me to enter 50.00 in the amount to donate. Any suggestions? Can you send me an address to send a check? 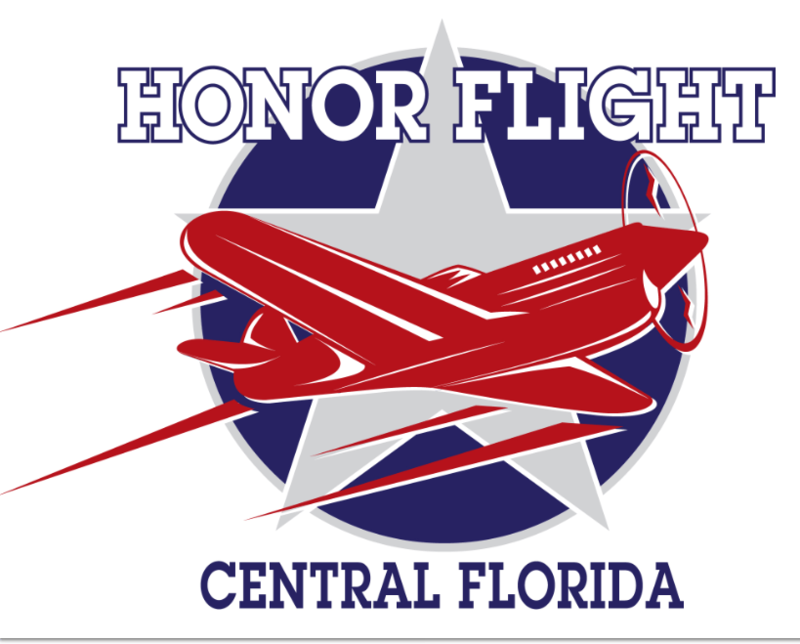 Is there some place I can go to print up a flyer for the Honor flight Guardians? I’d like to promote your organization at my work, at Orlando Health Central. I am taking my first guardian flight in April and would like to provide something to others here. You can pick up brochures at the orientation On April 5th. I just met a female WW II vet who is 88-yrs-young but not in the best of health at the moment. She never married, has no children and is feeling quite forgotten. When I told her about the Honor Flight her eyes lit up. Although I have printed an application I wondered if there was additional printed info she might read. (She has no computer.) Are there any local women vets in the Lakeland, FL area? It would be wonderful if she could connect to someone soon as her room mate & dear friend of 50 years is terminally ill in a Hospice center. Any info would be most helpful. Thank you very much. If you send me her name and address (or yours) I will send her a DVD which she can watch and show her friends of an Honor Flight trip. There are a number of Female Vets that go with us, but I am unaware of any in Lakeland so far. Is this program for any veterans or only WWII veterans? This program is for all veterans however there is a priority in the order in which applicants are taken to Washington. All terminally ill veterans receive the highest priority, followed by WW II veterans, Korean War Veterans, and Viet Nam Veterans. A comment we often hear is, “I didn’t serve overseas.” or “I was not in combat.” That is not a requirement. We recognize that serving your country in the armed services, including the Coast Guard and Merchant Marine warrants our appreciation and recognition. Many veterans of “The Cold War” spent countless hours in harms way away from their families. They have all done their part and our mission is to thank them by doing ours.